We will resume our study of James next Wednesday, April 24. 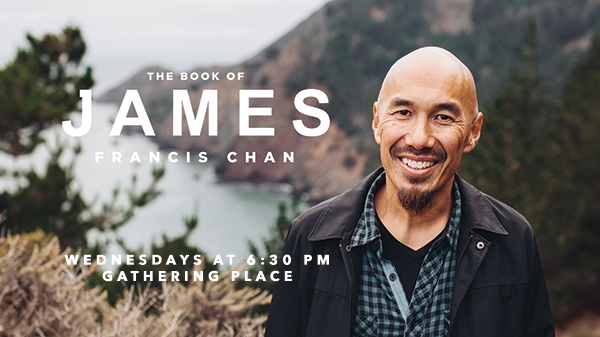 In this 12-week video discussion series, Francis Chan works through the book of James verse-by-verse, challenging followers of Christ to move beyond a private, intellectual knowledge of God and His Word, to a vibrant faith that impacts every square inch of life. Join us Wednesdays at 6:30 p.m. in the Gathering Place as we explore the realities of a living faith in Jesus.